Wow,now we are talking SPEED boats!! with 850 HP from the twin Mercruiser 496's this beautiful Baja will take you to places, other boats cannot go. The owner has spent a lot of money improving what is already an impressive boat. The list of items are endless:- In 2015 New dials, Underwater lights, new dash, new throttles, new shifters, new cupholders and also an Italian Steering wheel. He has also upgraded the stereo system. You wont see another boat like this one so give us a ring. 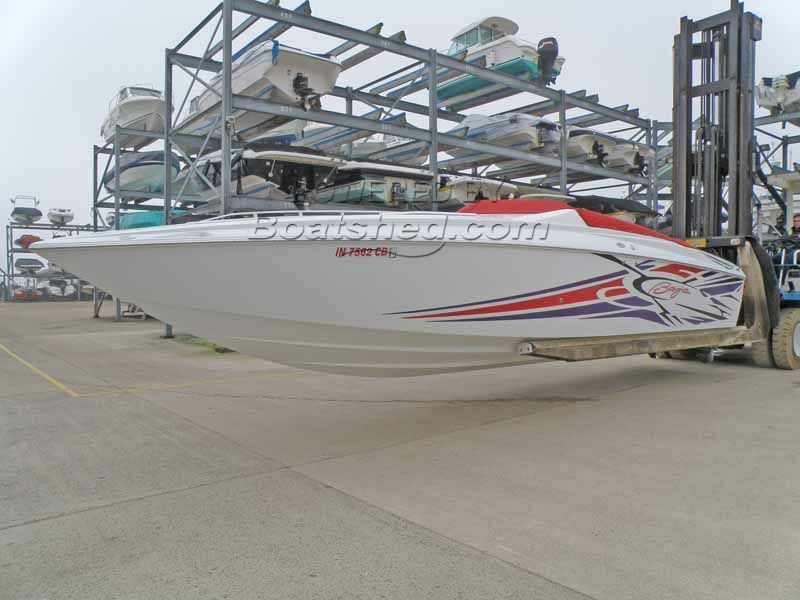 This Baja 30 Outlaw SST has been personally photographed and viewed by Ian Welsh of Boatshed Poole. Click here for contact details.